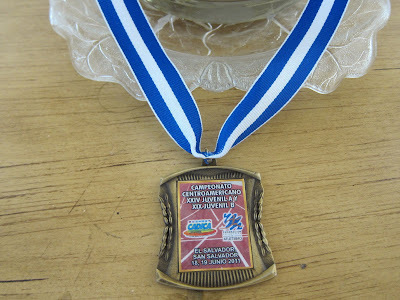 The two day 2011 Central American and Caribbean Junior Track and Field Championship took place last weekend, June 18th and 19th in San Salvador, El Salvador. 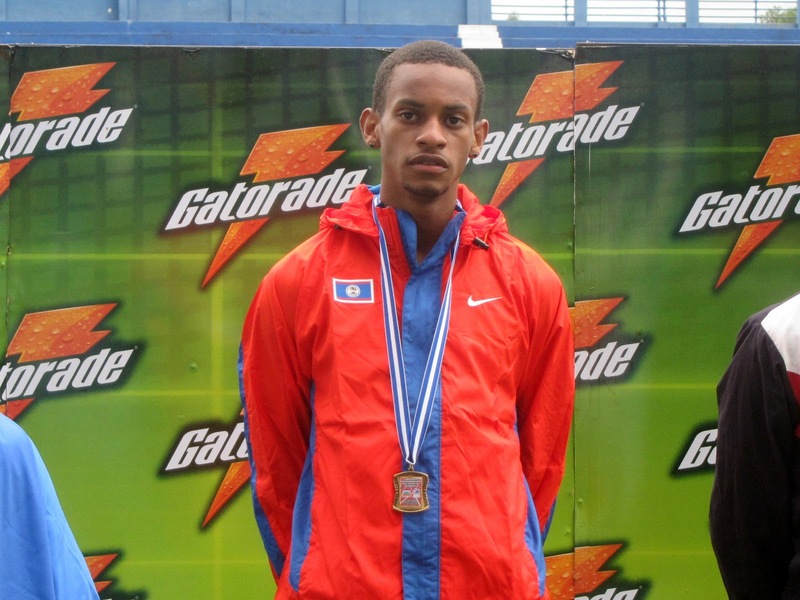 Many of the region’s top juniors faced off against each other culminating with the winners who have the qualifying times going to IAAF World Youth Championship in Lille, France and the Pan American Junior Championships in Miramar, Florida. The Pan American Junior Championships spotlight teams from North American, Central American, South American, and from Caribbean nations. Athletes must be 19-years-old or younger to be eligible for the junior championships. 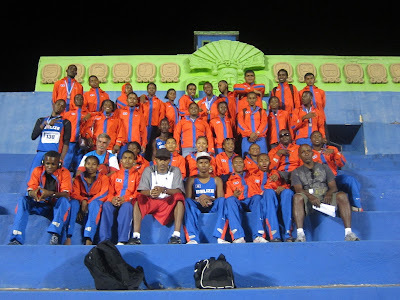 35 athletes from Belize boarded a bus for the 20 hour trip to San Salvador. Despite limited sleep, Gloria Serano, a Palloti High School student was eager to perform. The 15 year-old was well prepared mentally, however she was not in the best of shape physically because of a fever that started on the first day of competition. According to Coach Evans, she was visibly weak, about to collapse and had to see a doctor. In spite of this she produced an outstanding performance to win a gold medal in discus and a silver medal in the shot put. Coach Evans said she took it easy on the morning of the second day, but made it clear that she will compete in her last event. 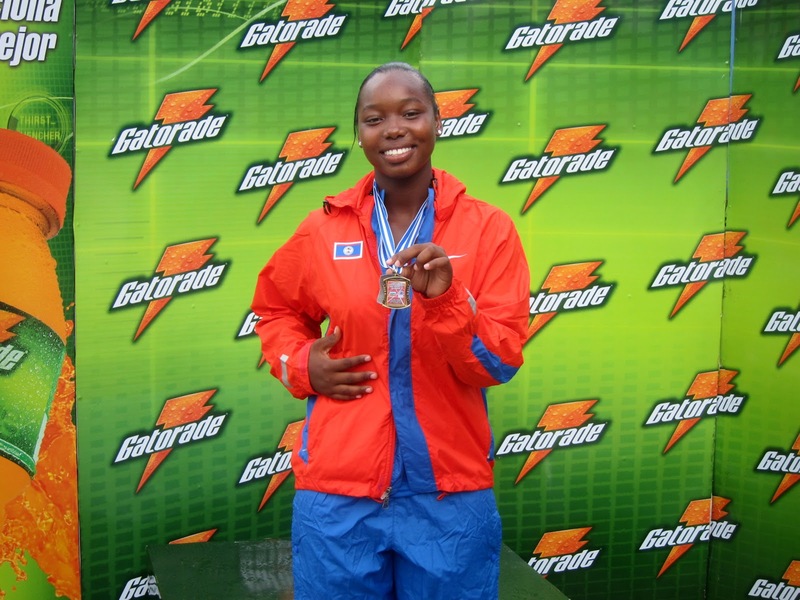 Serano, desperate to continue with the javelin throw, won her third medal, a bronze. 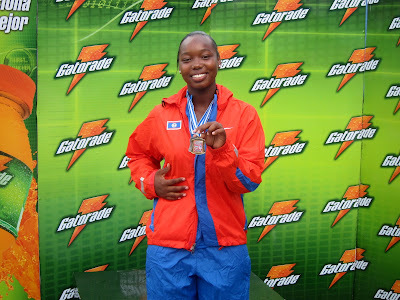 Gloria Serano, the best Belizean performer at the CADICA Jr Track and Field championship!! Novian Middleton, a 2010 graduate of Dr. Phillips High School in Orlando, Fl., and current Student-Athlete at Moorehouse College in Atlanta won the second gold for Belize, the 800 meters; he also got ill and could not complete his second race in the 1500 meters. Novian and his family would like to thank his friends and family for all their support. Team Belize won 2 gold medals, 4 silver, and 5 bronze. 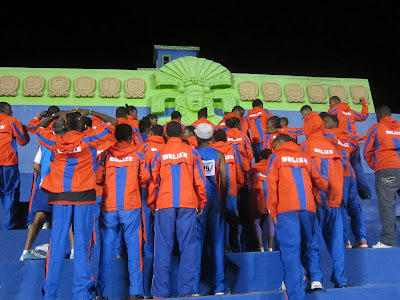 Congratulations to the Belizean athletes. They are making us proud. Linda thanks for keeping us informed of the positive things that are taking place.